Took our dog in 5 weeks ago for obedience training and are extremely happy with the results! Props to Devin and the team at Wolfgang for taking such good care of our Rambo. These guys really know what they're doing and we look forward to continue training with them over the next 6 months. Wolfgang, Daniel, and other son. Wanted to write a thank you for your help as decoys. Your willingness to help with my special needs and make suggestions in a kind way has taken my dog to the top in competitions in a matter of weeks. THANK YOU. Last month we were high in trial at a SCH competition -high obedience, protection and tracking . Last weekend we were high in trial both days in obedience in level 3 at a PSA trial. We also were High Protection and Obedience in level 3 on Sunday with the highest obedience score (Which does include bite work) ever given to a dog at any level . Again thank you Rader family for helping bring my dog up to this level. My husband and I sent our 7 month old German Shepherd here for obedience and protection training. We were hesitant to leave our dog for 3-5 weeks (it ended up being 5) but were quickly assured he would be taken care of and loved. This is our first time having a pure bred and it's true what they say, German Shepherds are extremely intelligent but can also be extremely stubborn and challenging. With that being said, we needed help properly training him and learning ways we could effectively teach and work with him. Andres Munoz was our dog's trainer and we cannot say enough good things about him! He helped us understand how to properly handle him on the leash and how to get optimal results from our training sessions. He took his time to answer any and all questions we had and he truly cares for the dogs he works with! We couldn't have asked for a better trainer to work with our dog during his stay at Wolfgang! We highly recommend Andres and the team at Wolfgang. We have noticed a world of a difference with our dogs obedience and his previous dog aggression, now he is able to play with other dogs and not freak out on the leash! We highly recommend sending your dog here if you're wanting to see results and learn ways you can keep up with the training they learn while at there stay here. We really cannot truly express all of our appreciation for your Herculean efforts for the Sieger show. Watching our dogs perform so beautifully and being handled so professionally was a true pleasure and source of pride. Jacquie, you really know how to take care of business. We can't wait to see the photos. Develop! Develop! And please make us a copy of the videos. Don't forget, we need a bill so we can settle this and move on to the next venture. I know Mark wants to start training on the Magit pups real soon. Wolfgang, you looked like the handler of all handlers out there. Running and smiling and making Flash just look great. Thank you. I wish Flora had stayed with you for training, but when the opportunity came up to get her to Germany and get her into the Sieger Show (where she belongs) we just couldn't pass it up. I hope she can do as well there as we know she would have done with you. Daniel, don't you EVER run out of energy or smiles? You are just great. So, one and all, we were a success, thanks to you. Any of my friends out there need a wonderful dog trainer and/or protection dog breeder for a best friend/K9 companion, call Wolfgang Lety. They're the real deal and will take care of you with all of your K9 needs and questions. These dogs will keep invaders away, yet be gentle and trustworthy enough to lick your baby in the face and be a family member. Perfect for home protection or your business. In 2013 we had over $70,000 worth of our equipment stolen along with vandalism done to one of our construction facilities.. I purchased a protection canine after assessing the cost of having after our security guards and it was the best thing we've ever done. I have not had even a shovel stolen in the last three years.. four things I will always have in my life (aside from family and friends) God, guns a Labrador and a protection K9. Thanks Wolfgang expert trainers!!!! We signed are 6 month old Rottweiler Judah to this amazing training center for 6 weeks and we are more than satisfied with the outcome, our dog has responded tremendously well, he is obedient and still full of energy! We appreciate John, Steven and Devin for doing an awesome job with training Judah, we look forward to his progression daily. Thank you all, your team is awesome! 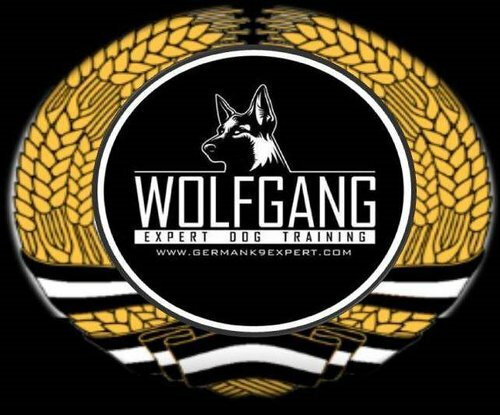 Wolfgang Expert K9 Training is a phenomenal facility led by world class dog trainer, Wolfgang Radar, former trainer for the German K9 Police and Military units. My 15 month old German Shepherd Dog, has turned into a wonderfully obedient companion and protector. Wolfgang's training methods are predicated on positive reenforcement, understanding the emotions of the dog, and interactive handling between the dog and owner. In addition to Wolfgang's expertise, the staff and assistant trainers are excellent. I highly recommend Wolfgang Expert K9 Training. We adore our German Shepherd puppy, but he was growing quickly, outsmarting us, and needed obedience training. We dropped him off at 6 months old, and he came back to us at 7 months a changed man. He is still affectionate with us, but he listens, stays under voice control, isn't barking at every dog he sees, and is not jumping on or mouthing people. He seemed genuinely happy in the program with his handlers and his confidence is much improved, too. He additionally is no longer pulling on the leash, can do a long down stay, and leaves our 9 year old dog alone (most the time! He still really wants to snuggle with her). The team at Wolfgang is very experienced and they let us know he was doing well throughout the time there. It was hard to part with a family member, but well worth it considering how much his behavior has improved over such a short time. We look forward to continuing the training and experiencing the many years of joy our dog will bring us. Any of my friends out there need a wonderful dog trainer and/or protection dog breeder for a best friend/K9 companion, call Wolfgang Lety. They're the real deal and will take care of you with all of your K9 needs and questions. These dogs will keep invaders away, yet be gentle and trustworthy enough to lick your baby in the face and be a family member. Perfect for home protection or your business. In 2013 we had over $70,000 worth of our equipment stolen along with vandalism done to one of our construction facilities.. I purchased a protection canine after assessing the cost of having after our security guards and it was the best thing we've ever done. I have not had even a shovel stolen in the last three years.. four things I will always have in my life (aside from family and friends) God, guns, a Labrador, and a protection K9. It is a genuine pleasure for me to write this letter reflecting upon feelings of joy and gratitude our family has been experiencing since the arrival of our German Shepherd Dog. Presently she is curled up by my chair, patiently waiting out the outcome of this letter. A little more reflective thinking takes me straight to our first gatherings at the training grounds for German Shepherds. These hours gave me a chance to have you think me a worthy candidate for such a remarkable dog. All these initial and ongoing meetings continue to uphold and advance my impressions about your professional standards, knowledge and completeness of skills. Your matching our family with this dog is another example of your professional insights concerning all matters of canine presentations. Permit me to tell you about an experience that my dog and I had while hiking in the woods. I had taken her off the leash, and she was happily bounding around me. Suddenly, three large, stray male dogs charged up to us. My dog immediately took on frightening positions and showing of teeth. She put herself between me and two of the closest dogs and skillfully intimidated the brutes and chased them down the path. The third dog, a Rottweiler, was still close to me, and his demeanor was sizing me up. I called for my dog to come back. Upon her immediate return, she resumed her threatening maneuvers, which made the Rottweiler run off to find his pack buddies. Again I called for her to return, and she responded immediately. I lavished much grateful praise on her. The situation was very intense, and now reflecting upon the various elements the dog handled, she was able to handle them with a judicious application, which her powers made available to her. She accomplished a total rout, and not a drop of blood was spilled. She had only been with us for four weeks! Mr. Rader, it was very humbling to see the German Shepherd demonstrate such risks on behalf of me. All these hours she has been with us now, right from the beginning to the present, this dog is a luminous example of why the German Shepherd Dog is an unequaled canine. Mr. Rader, we continue to look forward to spending more time in your company and to learning from a master teacher. There aren't many things I care enough about to leave a review about (my first review) but my dog is definitely one of them. I brought my extremely stubborn 1 year old Bull Mastiff to Wolfgang and can honestly say that it was one of the best decisions I have ever made. My Bull Mastiff (Ajax) went there with some basic training but no where near the level that a dog his size and strength needed. I had spent the previous year fighting my dog for control on every walk. I left Ajax with Wolfgang for the 5 week In-Kennel Training and when 5 weeks was up, my dog was still not ready. Wolfgang didn't just give me back my dog or say I need more money to get him to where he needs to be, instead Wolfgang simply asked for 2 more weeks with my dog. He didn't ask for more money, or anything like that. Wolfgang's only motivation is to train your dog to his absolute potential. Very rarely do you find someone in this world where they truly do what they do for the love of it. I truly believe that this is who Wolfgang is and I am so appreciative for having been referred to Wolfgang. After I got Ajax back, I couldn't believe the difference. It is such a pleasure to go anywhere and do anything with him now as I truly do have absolute control of my dog. He walks so close to me now looking for direction that it is actually taking me a bit to get use to it. The difference from before Wolfgang to now is almost hard to believe. My dogs spirit and personality are just as incredible as they were before but the control is now there. Now we are a team and not a person and a dog struggling for dominance. I plan on training Ajax with Wolfgang for the rest of his life and I can't wait to see where we go from here. After I got Ajax back, I couldn't believe the difference. It is such a pleasure to go anywhere and do anything with him now as I truly do have absolute control of my dog. He walks so close to me now looking for direction that it is actually taking me a bit to get use to it. The difference from before Wolfgang to now is almost hard to believe. My dogs spirit and personality are just as incredible as they were before but the control is now there. Now we are a team and not a person and a dog struggling for dominance. I plan on training Ajax with Wolfgang for the rest of his life and I can't wait to see where we go from here. Wolfgang, from the bottom of my heart, thank you for giving me the relationship with my dog that I've always wanted. Thank you for the great care you and all your staff showed in not only training my dog but taking care of him for 7 weeks. Thank you for being such a good and caring person and thank you for entering my life and Ajax's life. I will forever feel genuine appreciation and admiration for you and everyone that works with you. I truly count you as a friend. My Cane Corso puppy will be going to "uncle Wolfgang" when she is old enough and every other dog I ever have will be there as well. You guys are the best!! Wolfgang, From the bottom of my heart, thank you for giving me the relationship with my dog that I've always wanted. Thank you for the great care you and all your staff showed in not only training my dog but taking care of him for 7 weeks. Thank you for being such a good and caring person and thank you for entering my life and Ajax's life. I will forever feel genuine appreciation and admiration for you and everyone that works with you. I truly count you as a friend. My Cane Corso puppy will be going to "uncle Wolfgang" when she is old enough and every other dog I ever have will be there as well. You guys are the best!! On November 7th, 2015 my family and I went to the NKLA at the La Brea Tar Pits to find a new dog. We took our youngest grandson with us since he is with us the most. After we walked around the Tar Pits for an hour looking at all kind of dogs we just did not see any dog that caught our eyes. We saw big dogs small dog and a bunch of Pit Bulls. So we were about to go home we decided to walk around the Pits one more time thinking that we might have missed something the first time, guess what we did we went back to this recuse named Good Dog Good Talk Recuse. They had this GSD in the back of the booth when I saw him I knew that was my dog. On November 14th, 2015 my dog Major came to his forever home. The only thing that this GSD was able to do was sit and down for treats only and he was already house broken. Oh, did I say that Major was a recuse, yes a recuse all we were looking for was a family mutt. After a few weeks of have this dog I found my way to Wolfgang Expert K-9 Training when we talked and I showed you Major you told me that Major had a rough time and that the last few months and that he does not trust me yet and that I need to build a bond with him first. So I took those words to heart and did not get mad and started to build a bond with my recused dog. I took Major every were the park, the beach, the mall if I was going so did he. I thought everything was going OK, but this dog was a runner, and would not come when he was called and he ran more than one time thank God when I came back to Wolfgang in January he said that we were ready for training Major and I.
Wolfgang explained each training technique, he also gave reasoning behind the technique so that everyone could understand what was expected from them and their dog. So at the end of any training session you were able to go home and work with your dog. After our first month of training Major and I both came a long way in a short time. Major was sitting and downing on command without looking for a treat for doing it. The biggest thing that we both received from training was that I was shown and taught how to be the pack leader. I was shown and thought if your dog does not have good obedience you will not have a good family dog even more you not have a good protection dog. I was also taught the importance of giving clear commands to my dog. One of the big things that I had to do was the home work. So I made a game out of it all those trip and walks we did some type of training sitting and staying and downing. The months that followed Major and I were given more and more task to work on and train on, yes obedience and protection remembering obedience is the key. It feels good when you are walking your dog and people complement you on your dog’s behavior. After three months of training I'm proud to say that the mutt we were looking for was a BIG Peace of GOLD. Major is sitting, downing, working on leash and off leash, yes OFF leash. I'm able to let Major in the front yard at home I will let him go four houses away and he comes when called. We are starting our fourth month of training and we will be working on sharpening our on leash and off leash work. Thank you Wolfgang and your staff with all your help and training.